This post contains some affiliate links, meaning if you make a purchase after clicking the link, I may receive a small commission, but this will not affect your shopping experience in any way. Thank you for supporting Mads Maybe! The great Leslie Knope may have invented Galentine's Day back in 2010, but it's still going strong eight years later! Galentine's Day is the international holiday occurring on February 13 that celebrates gal pals. It's the perfect opportunity for getting together with the ladies in your life – your friends, sisters, mom, cousins, etc. – to celebrate each other and it can also be a chance to share little gifts of appreciation! To inspire your Galentine's day festivities, I've created a gift guide with a selection of my favorites for the big day and every item is under $25! There are so many cute options! 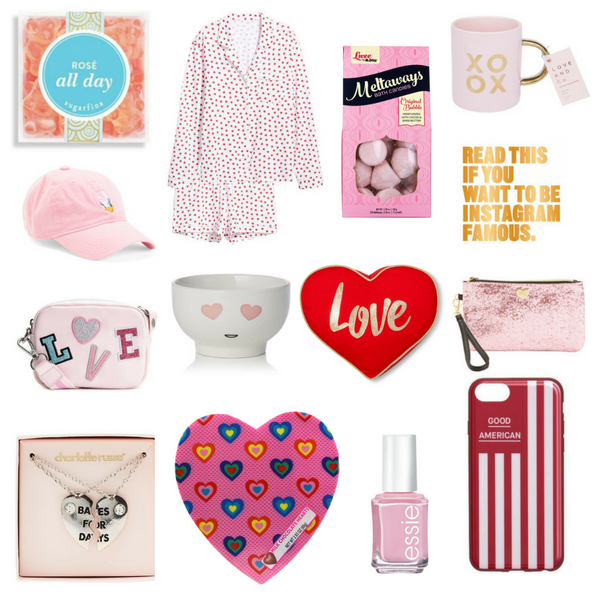 There's something for everyone in this gift guide and I definitely think a Galentine's Day gift should be personalized and picked out with your specific gal pal in mind. OK, now that you've browsed these gifts, let's discuss the original Galentine's Day from Parks & Recreation! Leslie took her best gal pals and her mom out for breakfast and presented them with gifts. Some of her friends a.k.a coworkers in attendance were Donna, Ann, and April. I always related most to April throughout the show – which Parks & Rec pal are you? How are you celebrating Galentine's Day?